Many airlines have long rewarded Gold-grade frequent flyers with access to business class lounges, but 'business class only' facilities are slowly becoming more widespread, creating a private space for passengers flying up front that's separate to the lounge used by frequent flyers booked in premium economy or economy. Air Canada is one of the newest entrants in the 'business class only' club with its Signature Suite lounge in Toronto, which is not only restricted to business class passengers but also locks out travellers who used points or miles to book or upgrade their flight: you'll only get through the door here with a fully-paid business class ticket in-hand. The idea is simple: for an airline that doesn't have true first class, provide a lounge with 'first class' service to the passengers spending the most money on their journey – those being fare-paying business class travellers – where the costs of providing extra services like à la carte dining and free-flowing Champagne are better-justified, with everybody else directed to the regular Maple Leaf Lounge instead. Fellow Star Alliance member United Airlines is also taking a similar approach with its expanding network of Polaris lounges, which only cater for United and Star Alliance business class and first class travellers on long international flights, with Star Alliance Gold cardholders, paid lounge members and the like all sent to the standard United Club when flying down the back. That said, if you've booked your pointy-end flight using points or miles, or upgraded using the same, United doesn't discriminate: as long as you're flying up the front, you're welcome to stop by the Polaris lounge. Qantas partner Qatar Airways adopts a policy for lounge access in Doha that's similar, yet different: passengers who book business class (or first class) outright are invited to visit the airline's exclusive business-class-only (Al Mourjan) or first-class-only (Al Safwa) airport lounges, including if their journey was paid for using frequent flyer points – but travellers who use their miles or cash to upgrade only get the same lounge access that their ticket originally provided. As such, if you purchased an economy airfare and used your hard-earned miles for an upgrade to business class, you won't receive access to the business-class-only Al Mourjan lounge – and even if you have frequent flyer status with Qatar or Oneworld, you'd only be able to visit the so-named "business class lounge" or "first class lounge": purpose-built spaces just for frequent flyers travelling in economy, being a world apart from the 'real' business class and first class lounges. Gulf neighbour Etihad Airways isn't quite as strict on access to its true business class lounges in Abu Dhabi, rolling out the welcome mat for Etihad Guest Gold frequent flyers, but cardholders from some partner airlines like Virgin Australia – namely, Velocity Golds – are still sent to a third-party lounge unless actually flying business class. Singapore Airlines also directs its own KrisFlyer Gold and most other Star Alliance Gold frequent flyers to a separate lounge at Changi Airport – which even lacks showers and toilets – reserving its true 'SilverKris' business class lounge (and the Champagne inside) for actual business class flyers, and for the airline's PPS Club members. Keep in mind, a PPS Club card can only be earned through regular business class or even first class travel with Singapore Airlines or SilkAir: not via any of its Star Alliance partners, and not even from premium economy or economy bookings with Singapore Airlines: so most of the time, these members would be flying business class anyway. 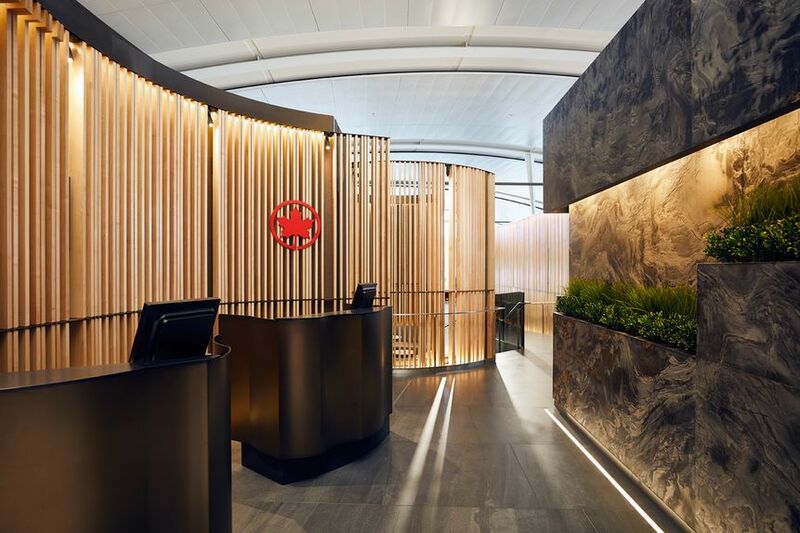 That brings us to Qantas, and while the airline doesn't have any a standalone 'business class only' lounges, on the domestic front, Gold frequent flyers can only visit the true domestic business class lounges when actually flying business class: otherwise, the Qantas Club awaits. That's a detour from the standard Oneworld alliance rules, which normally invite Gold-grade members to visit business class lounges and Platinum-tier flyers to use first class lounges, for which Qantas gained an exception: restricting its domestic business class lounges to business class flyers and Platinum (Emerald) cardholders, given the absence of domestic first class lounges. British Airways gained a similar exception for its 'business class only' dining rooms in places like New York, a restricted section within lounges otherwise shared by frequent flyers and business class passengers: and then, there's The Concorde Room, but that's first class territory. As international business travellers, what's your take: should airlines continue offering something better for business class passengers than what's available to Gold frequent flyers, or does doing so make frequent flyer status irrelevant? Share your thoughts via the comment box below! I feel in two minds about it airlines excluding top tier FF'ers from certain lounges. On the one hand, it's awful when you've paid a bomb for a premium class ticket and the lounge is so packed you can't even find a seat. But on the other I find sometimes I question striving for OneWorld Emerald when not all OW airlines offer First Class lounges and many of those that do restrict the 'true' first class lounges to ticketed First Class passengers (BA/QR). I'm not familiar with other airlines programs but I know with BA I need over double the number of tier points to get Emerald that I do to reach Sapphire. With Sapphire I still get many of the perks and the only great lounges i'd really miss are the QF and CX F lounges as AA has now opened their Flagship lounges to both OW Sapphire and Emerald (used to just be Emerald). I think going forward my loyalty to a particular alliance will wane. I think it makes more sense for me to just reach the Sapphire tier with OW and the equivalent with Star so at least I can have more choice of airline. i am no frequent flyer - but fly business for majority of my domestic and certainly all international - so i see this from an infrequent loyal flyer not a frequent busy business person wanting recognition for their loyalty - but i have to say i agree with this lounge concept - after shelling out thousands of dollars for a ticket its a nice gesture to be recognised with some exclusivity in a lounge as you are on board. Recognition also needs to be given to those frequent flyers, and is, but i do think there needs to be some distinction between paid ticket and loyalty - and the airlines now seem to think so too - emirates (my main airline) please take note - your business lounges are so full of non-business flyers its not nice so maybe try to emulate this new trend! Meanwhile Lufthansa does the opposite - the Business Lounge is for Miles & More FTL (*S) and business class passengers, the notably better Senator lounge is for *G and (non-LH) first class passengers. I support this concept and it's one of the reasons I fly Qatar rather than Emirates when travelling to Europe. 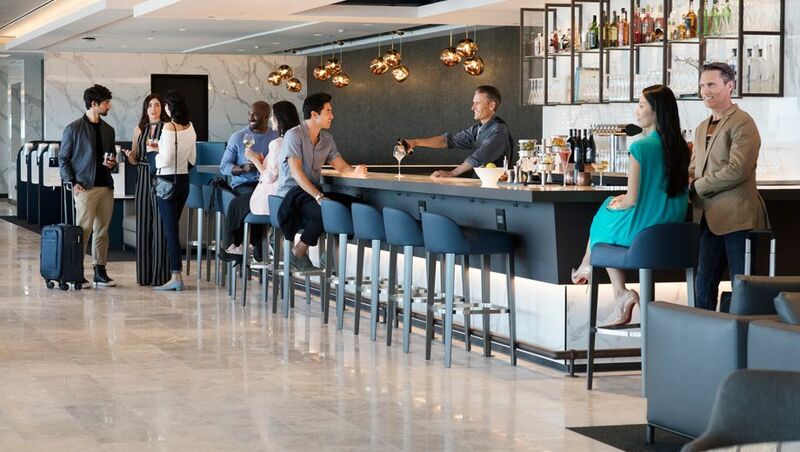 As airport lounges have progressively been opened up to more and more frequentl fliers (and credit card holders), it is a good move to have a space dedicated to business class pax. I have been Platinum Velocity for years and am fortunate to fly in business most of the time, however Virgin’s standard lounge offering doesn’t stack up as well as the QF domestic business class lounge alternative. Would be great to see VA go down this route. greg - I agree. If i've saved up my points for J or F then it should be the whole experience not just the onboard product, which is one of the reasons I prefer SQ for my points redemption. Totally agree. Frequent fliers in business class lounges aren’t “flying free”. In the large majority of cases, they are people that have spent thousands upon thousands of dollars with that airline or alliance. The problem is, as the article on the new QANTAS Titanium card makes clear, increasingly point spend is nothing to do with airline loyalty, but more to do with shopping spend. Yes that’s true. I get a Business Class flight with Qantas once a year, without ever paying to fly with Qantas! We want your loyalty, but when it comes to using your loyalty points.. go away! I've long said that there should be separate First/Business lounges for those travelling in those classes (paid or points makes no difference) and then a "status lounge" for those with status travelling in Economy. People with paid memberships could either be accommodated in the status lounge, or in a separate club lounge. When I pay (cash or points) for F or J, I expect to be in a lounge for F or J respectively. It is wrong that J and F lounges are filled with pax travelling in Y. However, frequent fliers travelling in Y do need recognition. Economy pax: no lounge access! When I’m paying $$,$$$ for first, I expect to be far away from the maddening crowd. When I’m in J, I don’t expect to be crowded into a “food court” full of Y pax desperately trying to get their fill of booze and food. A good example of this appalexperience was when I was travelling in F in QF through SIN. That's fine, so long as the associated "status lounges" match with the money I'm paying over a year to reach Platinum. I spend way more than a person buying a single First class ticket; thousands more. So to reward that loyalty then, my "status lounge" should be at least as good as First class lounge, if not better. It’s something of a dilemma. When you travel a lot in business class then you accrue the points which you redeem and potentially can’t use the same facilities for the same seat. I’m guilty of a double standard in that I want a peaceful lounge but want to be able to use it when I redeem points. The issue in some cases is the ease of access. In some cases one business class flight may get you ‘status’. More and more lounges are allowing priority pass or paid access. Guest passes are handed out, etc etc. in some ways I quite like the idea of PPS and qualifying through premium class spend (as opposed to mileage). The KrisFlyer Gold Lounge at Changi is dreadful. Ultimately access is an area where cost management is likely to be more and more focused. I suspect we will see more of it, but I hope the airlines understand that loyalty is a two way street. There’s only so far you can cut. I think its clear we're seeing several trends at play. First class is getting more scarce. Airlines are also trying to create more 'product tiers' to segment the market more accurately. Business class is also getting a lot better, and fewer corporates are permitting "first class" travel. The "business class only" lounge is part of this. I can absolutely see a situation where we have "premium passenger lounges" (for those flying in the actual cabins) and then "loyalty lounges" for those with status but not the travel class. I could also see more airlines offering access to the "loyalty lounge" perhaps as an extra upcharge or for those in premium economy (or both). I’m a QF WP and naturally love the SYD & MEL F lounges that we have to share with all the BA and AA Oneworld emerald pax. So why does QF give access to them when we cannot get access to the “inner sanctum” (a la cartel dining) of the AA and BA lounges....? BA emeralds don't get access to the Concorde Room either, unless they reach Gold Guest List. QF WPs have full access to the same facilities BA emerald do at BA locations, BA emerald can't use the business class dining room at the club lounge at JFK either, but can access the first lounge, as can QF WPs. QF gets paid by BA and AA for access. I feel like the presence of a private room or an exclusive revenue pax room would be great for lounges not willing to expand or upset members. Maybe include some better quality bubbles and 1 or 2 more food selections would be nice not to upset frequent flyers who want to feel rewarded but also for revenue passengers to feel exclusive. I have a real problem with airlines excluding J class passengers who use points for a ticket or use points for an upgrade. You are either getting the service or not, and if you have paid for a J class on point then you should get the full expeperience. Does the points + pay options still get you lounge access for J/F class? I assume it would as you are 'buying' the full priced ticket. That said, in almost every case you would not use your points this way due to the very poor return rate. I completely disagree, I regularly fly paid J and occasionally paid F. I know some people don't agree in using points for upgrades or points tickets but as a VA Platinum (so I travel a lot paid) why shouldn't I get the same product experience. If people are worried about too many people in the J or F lounge then may be no Y people should be in there could be a special lounge for high frequency Y travellers. The real issue is that the airlines are addicted to selling points to credit card providers, the revenue this generates must be huge. 2nd. Based Points accrued outside of flying. Look at their just announce Titanium card, it makes up for people without status and who fly infrequently with very limited lounge access when they do. The long term issue for airlines will be how long they can support the 2nd, when people without status have such limited access to reward bookings and get very little in return when they do make these books. AussieintheUSA. Absolutely spot on. It wasn’t so long ago that Qantas’s frequent flyer programme was potentially viewed as being more valuable than the rest of the business were it to be spun off. People are so seduced by points, and airlines so reliant on the revenue generated by selling them, that it’s a vicious circle. But by keeping on downgrading their ‘value’ there comes a point when people won’t bother anymore. It is frustrating that those of us who do earn our status and points by actually flying generally get no better benefit. 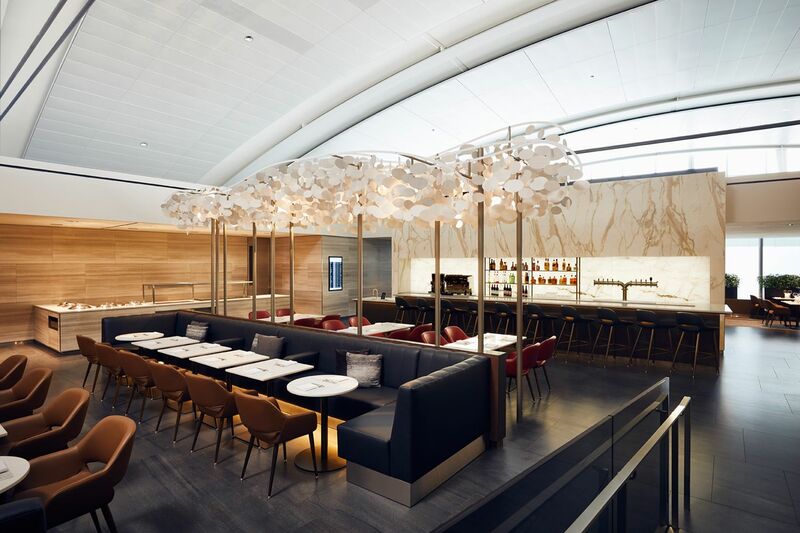 Rumour has it that the new Istanbul Airport will do the same (have a Business only lounge and a separate gold lounge), so you can shortly add TK to your list. Any interesting question is who is more important to the airline. A person who flies Business Class once or the person who flies with the airline (or alliance) often enough to earn status. what a good idea-finally those people who really coughed up the hard cash can enjoy the benefits-it's a disgrace that some airlines are even selling access at the door to get in, hence it's grossly overcrowded like Emirates in Dubai or Etihad to list a few-this is the only way to eliminate overcrowding -I was wonder a few times why so many people are in the lounge and than much less on the actual flight-business class belong to those who pay 3-4 times more than an economy ticket clear and simple. bl812, couldn't agree more. The lounges are full of wannabees not willing to pay the price but insistent on having the perks. Exclude them, make the numbers in the J and F lounges manageable and give a reality check to those who want the benefits without paying the true price. Im Emirates platinum and usually fly F. I have noticed a disturbing increase in numbers in the DXB F lounge over the last year and I'm sure this is due to award upgrades and paid entry. The airlines go for the cash and ignore the effect on revenue passengers. While I think it is good that business class passengers should have their lounges, which they pay for with their tickets, and FF and Club members get their lounges paid for via points or memberships, the question is really whether or not the airlines are providing adequate value for money in either case. Both FF and Club members have paid, therefore should get value for their money. If, however, an airline has sold memberships and points and then fails to provide what was promised, they are asking for trouble. Yes, I have never understood why buying your ticket with points resigns you to a second class citizen. The airlines place a monetary value on these points, and should therefore treat them as revenue..not a "freebie". I'm so over it all. Its near impossible to keep track. The airlines don't really care what opinions are voiced. It will be an issue for a bit and then go away just like Amex slashing their points transfer. These companies know it all dies down and they do what they want. So much for a class-less society. About time. When I pay the big bucks I do not want to have to put up with crowded business class lounges filled with cheap seaters whose firms pay for them. 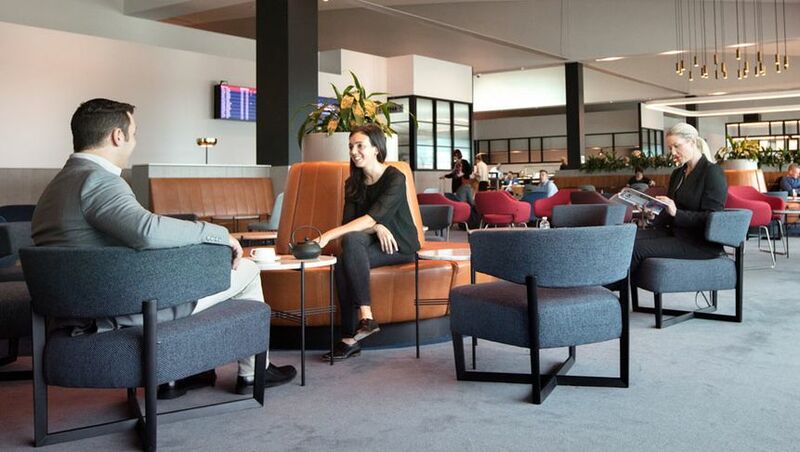 As a loyal member across multiple airlines (Qantas Platinum, Etihad Platinum and Air NZ Gold) I certainly appreciate (and expect) being able to rock up to a quality First or Business lounge, even when I'm stuck taking an economy flight. And so I should be able to. If airlines truly value 'loyalty' then they need to look beyond the short term revenue of just the next flight. I bring those three airlines thousands of dollars annually to be at or near the top of their frequent flyer programs. Now whether or not it's called the Business or First lounge I don't care. Keep us separate of you feel the need, when flying economy. But the standards I expect of the lounges must be 'as good as' those for First or Business passengers. Someone paying even $10,000 for a single Business class fare (if that's all they do over a year) cannot be worth the same to an airline as someone who pays well over $20,000, but spreads it out over a number of cheaper flights. And same goes for points redemption tickets - especially if passengers hold a Gold or Platinum membership, they do a ton of flying with that airline. 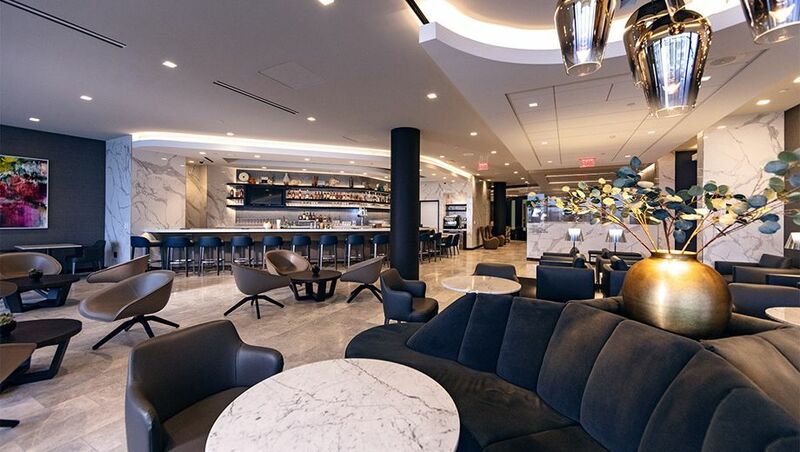 And so again, should be entitled to walk into any of the proper airline lounges regardless of the boarding pass they hold on a single day (with that airline/alliance). Airlines who deviate from this will absolutely see passengers switch to the alternatives. The competition is too great and too fierce. This is also why I spread my entitlements across three major airlines and two major alliances, rather than just becoming a Platinum One member with Qantas. The margin on a single $10k Business fare is much higher than say 10x $2k Economy fares. There's a video on YouTube called Economics of Airline Class (Wendover Productions) that explains it really well. You've hit the nail on the head with multiple alliances. Go with the deal of the day. Win win either way. Many travellers are trapped in the 'Stockholm Syndrome' of just one alliance. NZ Elite makes little sense since you get the same lounge as Gold and Star Alliance has no level above Gold anyway. I am LTG with Qantas I fly in economy domestically and J in International. I am now in the position to be able to afford J international flights so now I will utilise best bang for buck. Whilst I appreciate the LTG lounge access I am not being bound to OneWorld internationally as if I pay for J I receive the perks lounge access and priority boarding. I didn't hit one over crowded lounge on recent travels and the lounges have only got better internationally. Doemstic yes crowded but still ok to grab a coffee or wine. SQ's KrisFlyer Gold lounge & policy is what prompted me to choose CX as my carrier of choice into Asia & beyond. My corporate policy mandates economy class bookings, but I can choose the airline (and specify the booking class within Y), so my choice does have an impact. If everyone starts going the SQ route, then "loyalty" programs lose their relevance to me. I fully support this concept. In some cases, "International Business" is basically sold as a separate product to "domestic business". I'm frequent with UA and that's the key with their Polaris Business Class - you are only in "Polaris" if travelling in J on a longhaul international flight. Domestic J is NOT Polaris international J (unless connecting of course). Comment on "The rise of the 'business class only' airport lounge"